HTC One is by far the best smartphone I have ever owned. Yet, mine went on Craigslist yesterday and to a mechanic a few hours later; he responded to the listing. Then I paid off the remainder owed to T-Mobile. Why? After saying I wouldn’t, I bought Moto X Developer Edition. In terms of customer experience, the phone and everything else that goes with it, Moto X is light years ahead of any other mobile to come into my possession—that’s a whole lot of phones over the years. iPhone doesn’t come close. The overall customer experience is quite unexpected, but fits the phone’s personal appeal—how it responds to you without touching the screen. I ordered Moto X on Sept. 28, 2013 (Saturday); FedEx delivered October 4 (Friday). The ordering process was very pleasant, in part because Motorola’s site is so clean and clear and painlessly uses Google Account ID for log in. For anyone not ordering Developer Edition, get the extra warranty, which is a better deal than AppleCare+. For iPhone, the fruit-logo company gives you an extra year coverage for $99 and phone replacements (up to two) for $49 a piece. For X, Motorola charges $85 up front and $39 for replacement in case of breakage. DE is not eligible, damnit. Oh, if you go Developer Edition, which means bringing your own SIM, you’ll need a new one. Moto X, like newest-model iPhones, uses nano SIMs. I still must pay for the pleasure. Budget is tight, so I posted my Luminox watch and a few other items to Craigslist to cover some of the cost. The timepiece is the last item to go. Little things make the customer experience grand. Moto X feels hefty, which surprises me given the small size for a handset with 4.7-inch display. But the phone feels comfortable in the hand, an attribute many reviewers assume is because of the slight curvature. They’re mistaken. Nexus S and Galaxy Nexus are contoured too, but they don’t feel like this. Moto X has superb balance, a character that defines some of the best devices but is overlooked by many manufacturers. Canon dSLRs have great balance when paired with the company’s lenses. This improves the overall shooting experience and reduces camera shake in low light. 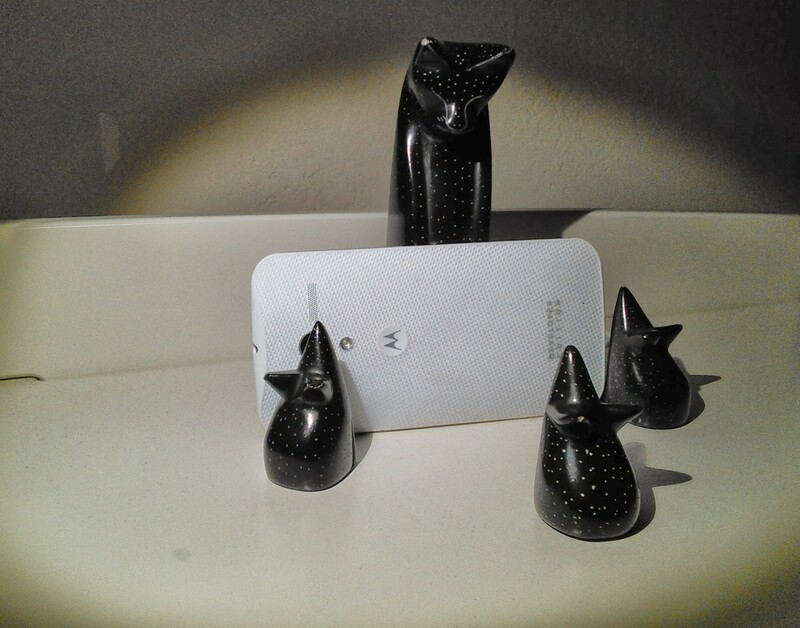 Balance is one of Moto X’s defining physical characteristics. Customer service is built into the phone. Motorola delivers tasteful tips via Android notifications, which so far help me to get the settings right and point out important benefits. Moto Connect—an extension running in Chrome—is spectacular. I see incoming phone calls and text messages—heck, even low-battery warning. So when the phone isn’t right there by the computer, I can respond to text messages, for example. Pulsing on-screen notifications are behavior transforming as are voice commands. Tonight, I popped a Diet Mountain Dew in the ice box to get cold but didn’t want to let it freeze. Across the room, I said: “OK Google Now, set the alarm for 30 minutes”. Integration is tight with Google services and additional ones Motorola provides. Customer service starts with using the phone, rather than ends with the purchase. The overall user experience is exceptional in every way that matters—something I’ll expand on in the future. Hey, I’ve only had this thing for about 40 hours now.